In Rochester, NY, locals gathered on a concrete-arched bridge at Genesee Valley Park last week to celebrate an American visionary responsible for its design. Kindred events took place in cities across the continent. 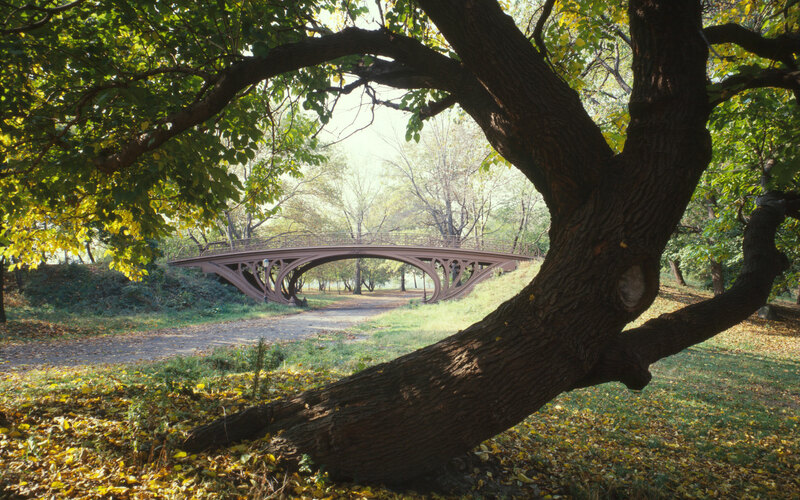 They commemorated the 194th birthday of Frederick Law Olmstead, a venerable evangelist for urban green space recognized today as the father of American landscape architecture. 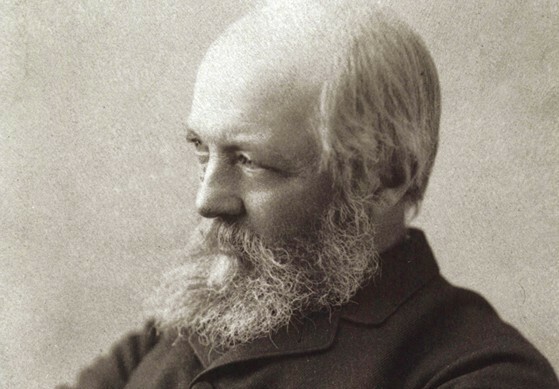 Before the advent of automobiles, iPhones, or suburbia, Olmsted believed that nature’s rejuvenating qualities were an antidote for industrialized urban sprawl. Proficient in many fields, Olmsted at one time or another worked as a surveyor, clerk, seaman, farmer, correspondent, author, superintendent and public advocate, before culminating his career as the pre-eminent city park designer of the 19th century. As a designer, Olmsted’s art was projecting the illusion of unspoiled nature on a built environment. His legacy seems beyond the pale of a single individual. His catalogue of work includes Central Park (co-designed with Calvert Vaux), Prospect Park (Brooklyn), Washington Park (Chicago), Mount Royal (Montreal), the Emerald Necklace (Boston), the grounds of the U.S. Capitol (Washington), and the first state park in the nation at Niagara Falls (Buffalo). Consequently, his successes helped usher in a movement to set aside national parks for all Americans to experience. Unified Composition: Olmsted strove to have every element in his design appear organic in its environment. Our studio aims to design graphics that are true to the character of the surrounding architecture and sense of place. Orchestrated Movement: Olmsted believed his goal was to make viewers unaware of the design as if it had occurred by happenstance. In wayfinding, you subtly guide movement through a site. Distracting design elements are avoided so the messaging can remain undiminished. Arouse the Unconscious Response: The belief that nature had restorative properties that could be subliminally released was at the core of Olmsted’s design work. Likewise, Thinking Caps Design uses consistency of color, typography, symbology, scale and material selection to prompt subconscious processing of messages so less interpretation is necessary. Form Follows Function: Although this saying was coined years after Olmsted’s earliest works, he was a firm believer that the utility of a place superseded its ornamentation. The art was choosing elements that served a purpose rather than merely adding aesthetic quality. For environmental graphics today, achieving functionality is still largely regarded as the essence of the project. With new technologies, the process of public space design seems vastly different from the processes employed in the 19th century. That much is true. But a closer look at Frederick Law Olmsted suggests that viewing the discipline of design as a web of complex, inter-related decisions is a universal principle that stands the test of time.